Hello everyone! 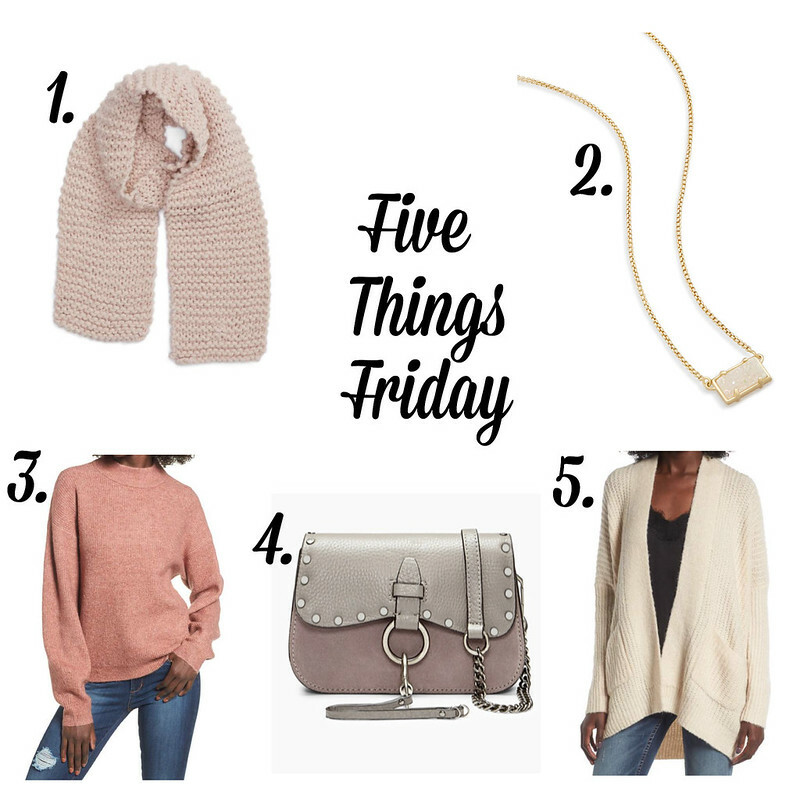 Today's roundup of items includes this chunky knit scarf that I am currently loving. It looks so cozy! Next, I think this necklace is so pretty and it is on my wishlist. I came across this ribbed pullover sweater and love it. I also love the fact that it comes in nine different colors! Next, this crossbody bag by Rebecca Minkoff looks amazing and it is currently on sale. Last of all, this Dreamers by Debut knit cardigan is really pretty and is the perfect neutral color. I hope that you liked my picks for the week. Have a great weekend!